Nam (a.k.a. David) joined our team over half a year ago, as our Product Owner! His job here is to drive the vision for Neat step-by-step into what we build in the product. With his experience scaling a number of different startups from the ground up, launching products in different markets, and working with different entrepreneurs, Nam is uniquely fit to be in this role at Neat. Here’s Nam’s background, from how he started his own startup to how he made his way to Neat, and the lessons he’s learned along the way. I’ve been there at many of the most formative stages of a startup - from the conceptualization stage, to the cusp of breakthrough, to unicorn growth, global expansion, and seeing the end of a business as well. I like to call myself an entrepreneur and an intrapreneur. You’ll see what I mean. When had just finished school, there weren’t a lot of opportunities that excited me. But when my friend told me about his idea to start an online platform I was intrigued. You might know that in Hong Kong there are hundreds of tutorial centres. But the problem was that for the largest ones, if they had multiple locations, a lot of the times students would be sitting in a classroom watching a prerecorded video of the tutor who was currently teaching at another location. 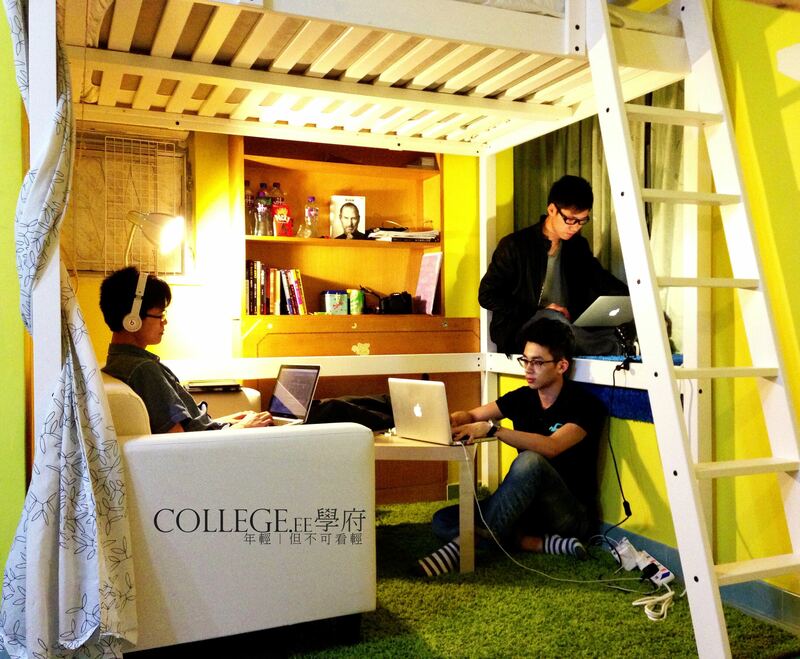 That’s how we came up with College.ee, an online education platform, which in 2014 had over 3000 registered users in Hong Kong and 650 video lessons. Using College.ee Instead of going to a tutorial centre, students could stream video lessons from tutors from wherever they were. This is a picture of College.ee's website. We used whatever way we could to promote ourselves. We produced a lot of our own material – we built our own website, created our own promo videos and shot our own photography as well. One of our most memorable campaigns came about when we were able to time it with a significant event in our customers’ lives. We knew that this was an incredibly stressful time for a lot of students. So, at our booth, we invited students to write encouraging notes to their friends. We took pictures of all the notes and uploaded them to our website. With a shoestring budget, we weren’t always able to go out to huge official events to meet students. But by being resourceful and understanding our customer – their stresses, doubts, and also social motivations – we were able to leave a lasting impression with hundreds of students and their friends. While after nearly 1.5 years, we chose to sunset our business, this was a time in my life that gave me a true entrepreneurial sense – something that’s allowed me to empathize with different people down the road, and especially the customers we have at Neat. After College.ee, as a revved-up former startup founder, I was used to seeing where opportunities lay and pursuing them. A few months earlier, when College.ee was at the Hong Kong ICT Awards ceremony (and accepted an award for Best Startup! ), I had met the founders of many other innovative startups, including the small but mighty one that took the first place prize. This 10-person startup was GoGoVan. Months later as I was looking for my next gig, I sent a message to the GoGoVan founder, and landed a job. That’s how shortly after I became GoGoVan’s first business launcher, right after they raised their Series A. My day-to-day involved meeting new drivers, doing research to develop their personas, and training local city managers and their teams (including CS, ops, sales, etc.) 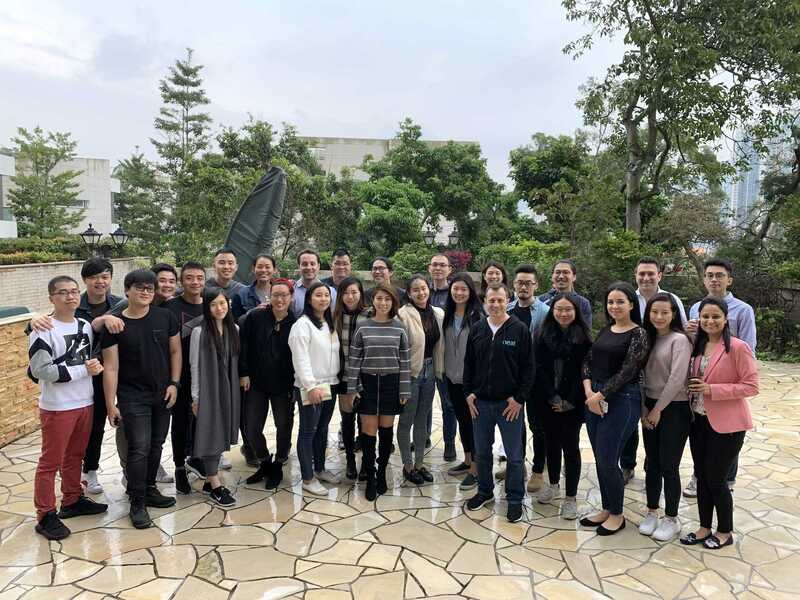 on GoGoVan’s operations models – eventually, because of my understanding of the Chinese market, I became the local product manager, giving the Hong Kong team direction into what features and functionality Chinese drivers and users needed. Intrapreneurship involves adopting entrepreneurial skills within an existing organization. While I had experience building an entirely new product and growing its adoption, this was a new challenge for me. 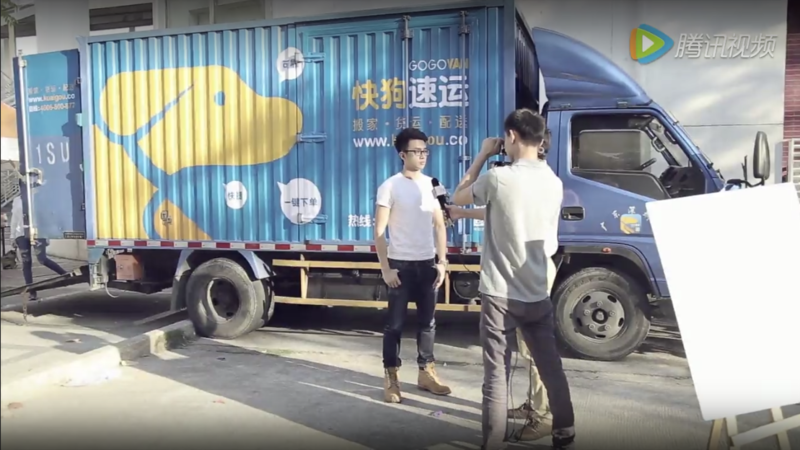 As business launcher, I was taking an existing product (GoGoVan) and launching it in a new market – in this case, China. I had to use a similar intrapreneurial skillset when I joined Gobee.bike (a bike-sharing service) as their Senior Product Manager. With my experience launching in new markets, they took me on to help them expand to Europe. Throughout my experiences both being an entrepreneur and an intrapreneur in such fast-paced environments, I’ve had the opportunity to learn what it means to effectively drive the vision of the product you’re building. When I started at GoGoVan, we had about 10 employees. When I left, we were at 300. At Gobee.bike I was the 5th employee and at its peak there were ~150 people. So, what does it take to be a product owner? A lot of people like to say that the product owner essentially the CEO of the product. Everything that goes into the product, you’re in charge of. From my experience, there are three main things you need to have down as a product owner. First, you have to know who you are serving. You have to clearly know your personas before designing new features. When I was at College.ee one of the biggest reasons we were able to create a product with popular adoption, and execute successful marketing campaigns was because we deeply understood the students – their pain points, their concerns, and their goals. How many bank accounts do they have? Is Neat their primary business account or is it a supplementary one? You need to be able to anticipate the needs of your users, in order to build a product that keeps growing, improving, and giving them a good experience. While a product may be digital, it’s my job to also anticipate and take care of the offline experience as well. At Gobee.bike, for example, we introduced a “free one-minute spot-check” so that people could have a minute to make sure their bike was fully functional, to ensure that if there was an issue with it, they wouldn’t be charged. At Neat, we have a Neat Mastercard which can be used online and offline. Our product team builds the app that records all transactions and categorizes them into spending categories. While it’s the digital app that we build, the user’s experience goes beyond the app and includes the times when they’re using the card to withdraw cash or making a purchase. We need to make sure this offline experience part is smooth as well. As a product owner you have to think farther than your own digital product, and put the focus on a user’s experience as a whole. One part that perhaps not everyone thinks about is that you not only have to be a strategic thinker, one of the essentials is to be a good communicator and be able to give direction. For example, at GoGoVan, one of our colleagues was responsible for meeting various drivers on the road and collecting information. He’d record everything manually on a paper – in doing so, there were sometimes errors in the details, which frustrated the customer support team. So I went to spend some time in his role as well – and I understood exactly why he was prone to make errors. So I thought it’d be helpful to take our customer support colleague on the road to experience this as well; at the end, we all had a renewed understanding of how many things were happening at the same time, and resolved to find a better solution. Afterwards, we replaced the paper records with an iPad, and using it, he was able to record the information in real time and reduce the number of errors in his work. And at Neat my job is to clearly communicate the vision for the product to the rest of the team. The way I communicate with a developer is going to be different from the way I communicate with someone from marketing. It’s about a) understanding what the person you’re talking to cares about and how different people think and b) being able to guide people to see a certain perspective. I’d bumped into my former colleague from GoGoVan on the MTR one day – he convinced me to apply to Neat. Neat’s mission is to take away the pain of traditional banking for entrepreneurs. Coming from a family of entrepreneurs and being an entrepreneur myself, this struck a chord. David Rosa, our co-founder and CEO, is very passionate – which is something I could relate to from my own time as a startup founder. He knows what he’s doing and he has a lot of experience in finance. 6 months in I have to say I feel like I’m learning something new every day. And because FinTech as a whole is relatively new too, the industry requires us to continuously be learning and adapting. I’ve grown with a number of different startups, but to be able to bring my skills and experience as a product owner at a place that supports entrepreneurship is something close to my heart. My work is challenging and, to me, fulfilling. Looking for opportunities at Neat?